Superdry women's Alessia rhinestud top. Bring some sparkle to your everyday wardrobe with the Alessia rhinestud top. 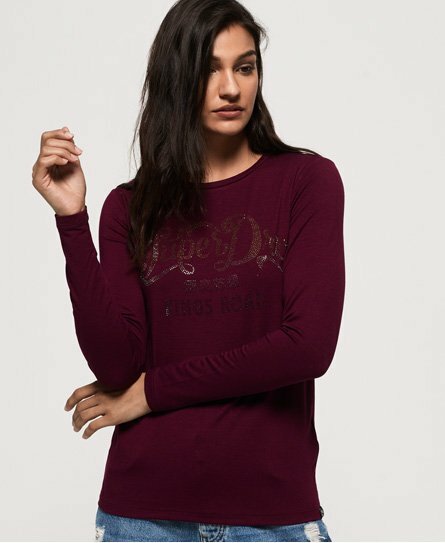 Featuring long sleeves, a crew neck and rhinestud effect Superdry logo graphic on the chest, this top will make for a great layering piece. The Alessia rhinestud top is completed with a Superdry logo tab on the hem.